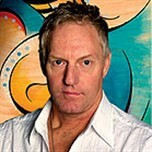 Artist William Barron received a B.F.A. from Massachusetts College of Art and an M.F.A. from Rutgers University, where he was a graduate teaching assistant. For 25 years, he taught art at Stephens College in Missouri, Massachusetts College of Art in Boston, Kishwaukee College in Malta, Illinois and St. Xavier University and Columbia College in Chicago. Bill’s work is represented in both corporate and private collections. It has been exhibited in Chicago at the Struve Gallery, the Minneapolis Institute of Art, the Illinois State Fair, the Wichita Art Center and the Springfield Art Museum in Illinois. In Massachusetts, he showed his work at Thayer Academy Gallery in Braintree, the Batelle-Harding Gallery in Greenfield, and for several years he ran his own gallery, the Barron Gallery, on Cape Cod. I feel like I can step right into the painting and be right there. Luv the dragonfly!